The holiday season is often one of the most dangerous to be on the road. Certain times of the year have more driving risks than others. Perhaps the most dangerous of all of them is the week that includes Christmas Eve, Christmas, New Year’s Eve, and New Year’s day. Each of them features a significant amount of drunk drivers and generally has less safe roads. We detail some of the best ways to avoid those dangers in the sections below. While you likely cannot stay off the roads during the whole season, not driving on select holidays is a smart idea. The ones that matter most are the four we listed above. The reason those days are so dangerous is that many people choose to drink and drive. Every intoxicated driver is a hazard to the safety of you and your family. If possible, avoiding them is worth your effort and attention. Christmas and New Years are two of the most tempting drunk driving days of the year. The reason is that the majority of parties for these holidays feature alcohol. What happens is people come to the event with no plans for getting a ride home, reach an unsafe level of intoxication, and decide to drive back anyways. If you think you might be in danger of living out this scenario, be sure to make a change to that process. Either don’t drink, sleepover, or use a rideshare service to get where you need to go. The other side of that coin is watching for intoxicated drivers. While some are indiscernible from those that are sober, others will exhibit telltale behaviors. Some of the most common of them include swerving, drifting, and speeding. If you see any of these activities happening near you, do your best to get some distance. There is a good chance that the St. Louis streets will be wet this season. Combine that fact with all of the hazards that accompany the holidays, and you have a recipe for disaster. You can make yourself significantly safer by keeping your speeds down. Doing so will give you a better chance of avoiding dangers when they present themselves. 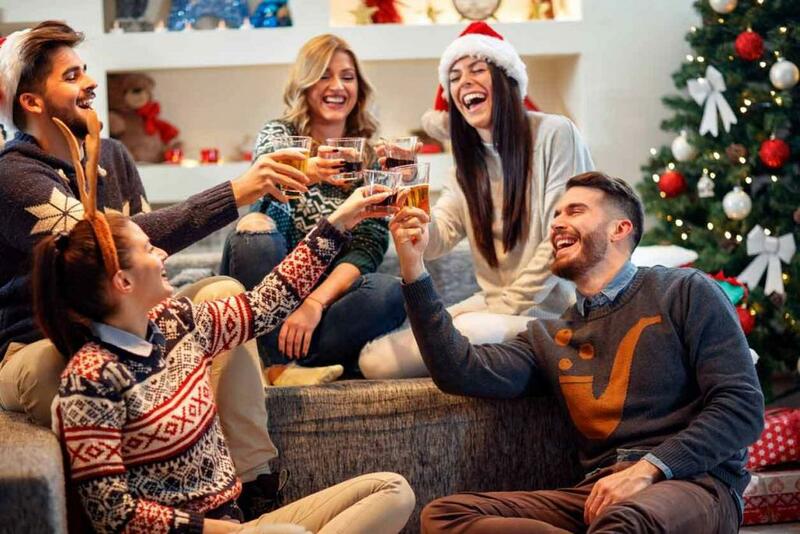 This time of year is one in which people reconnect with loved ones. That means a lot of texting and phone calls. If you engage in this behavior, be sure to do it when you’re off the road, as distraction behind the wheel is about as dangerous as intoxication. While staying off the road entirely is the safest thing you can do during the holidays, that strategy is not realistic for everyone. Fortunately, you can make a few crucial behavioral tweaks and drastically increase your chances of avoiding injury. Still, you could end up in a collision with someone who was acting in a negligent manner. If so, you should talk to a St. Louis car accident lawyer to protect your legal rights, including your right to compensation from the at-fault party. Give us a call 24/7 at (314) 361-4242 for a FREE case evaluation.